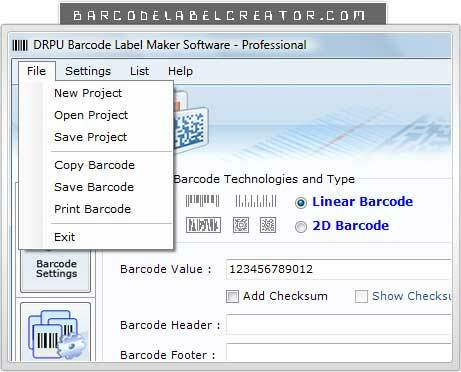 Demo version of 2D Barcodes label maker software is available at www.barcodelabelcreator.com for creating business standard barcode labels, sticker and price tags. Highly advanced barcode label generating program has feature to make attractive barcode holograms of customized shape, size, density etc. Comprehensive barcode designing application has ability to save created barcode images in different graphical file formats like jpeg, gif, tiff etc. This site does not contain serial number, crack, keygen 2D Barcodes serial number : serial number is the simplest type of crack. A serial number(cdkey,product key,etc) is register the program as you may already know. a crack or keygen may contain harmful software. If you cannot find the exact version you want, just give it a try. for more information read .nfo/.txt/.diz file include in zipped file.